Introducing the industry's first Secure Internet Gateway in the cloud. The world is evolving… from how we work to where we work and how we access our sensitive data. Is your security keeping pace with the changes? Find out how you can block threats like never before with the industry’s first Secure Internet Gateway in the cloud. 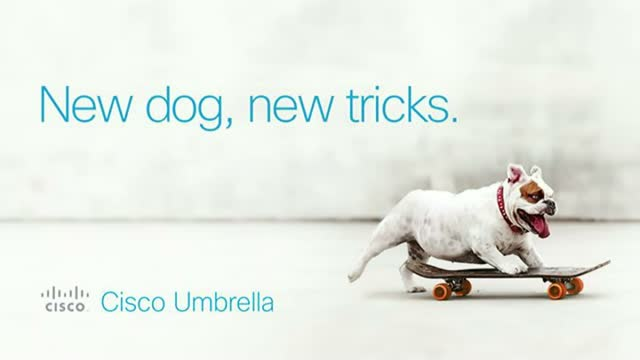 Join Cisco Security Experts: Brian Roddy, Engineering Executive, Cloud Security and Bobby Guhasarkar, Director Product Marketing, Cisco Umbrella, on Wednesday, March 22nd at 10am PT for a can’t miss review of what needs to be your first line of defense in 2017. Register and learn why you need a Secure Internet Gateway that’s easy to deploy and manage, uncovers attacks before they launch AND integrates with your existing security investments. Title: Introducing the industry's first Secure Internet Gateway in the cloud.